Welcome all to Mrs. Lincoln's Inkin'. I have been seeing these Ombre' cards all over lately and thought that i would give it a go, and this is what i came up with. 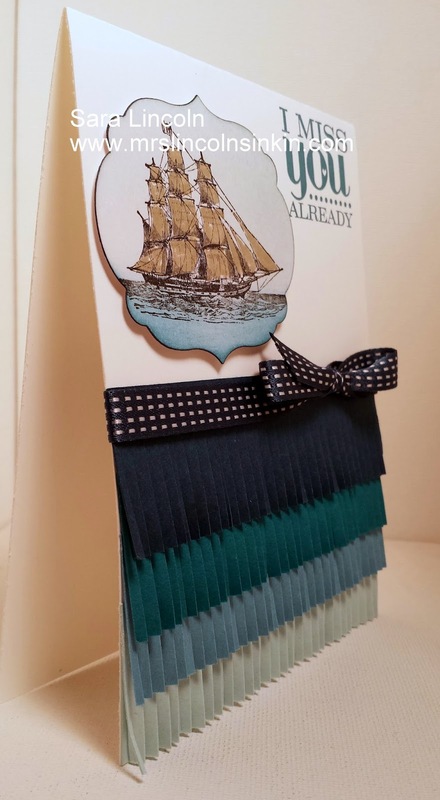 I chose to use the Blue tones and then use The Open Sea stamp set. It's a stamp set that makes me think of masculine cards. So that is what i went for. The 4 Blue tones that i used for the "water" i guess you could call it were Night of Navy, Island Indigo, Marina Mist, and Soft Sky. Each of my strips is cut at 1 3/4" and then i made a score mark at the 1/4". This is how far up i new where to cut. 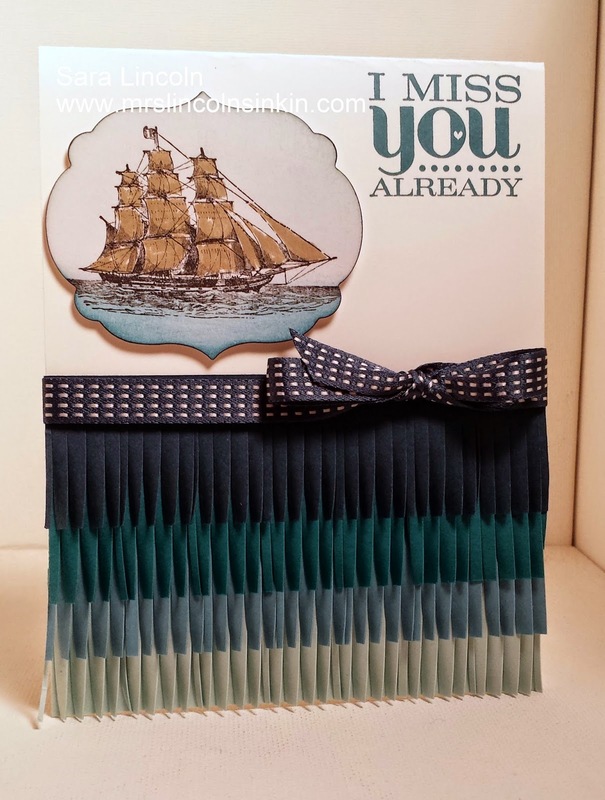 I used my Midnight Muse Satin Stitched Ribbon so that it would hide the top part of my top piece of card stock. I then stamped my image, sponged the sky and the sea and cut it out using my Big Shot and my Label Framelits.